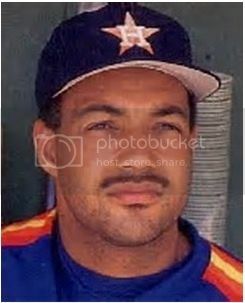 Discussion in 'Houston Astros' started by tellitlikeitis, Nov 7, 2016. Good to see Martes, Stubbs, Fisher, and Laureno in the big league camp. I've always been intrigued with Kemmer, too. Excited to see what they do. All but one will be broadcast on 790. A little surprised that K. Tucker isn't going to be in camp. I for sure thought he would be . If Centeno had better defense I'd think he was a steal, but if he had it we'd never get him as a minor league free agent. He's young enough though that I think bringing him in is a great potential depth move. He's far too young. 2019 player. I will be there first weekend of March, cannot wait! He should spend time in AA this year. Correa was in big league camp. 2018'...if he has not setbacks. Eric Anthony? Maybe not. Argh. That's true. However, who else is there among former Astros position prospects to compare? Not counting Correa, Tucker is probably the best Astros position prospect at this stage of his development that was drafted early and that didn't go to college in a couple of decades. Granted, Astros had a dry spell in drafting until Correa. No, but he is a top prospect. I believe Ruiz was there too.